On November 23, 2010, the most influential international trade fair in Asia-Pacific region - International Construction Machinery Exhibition Bauma China 2010 (BMW show) was held in Shanghai New International Expo Center. The total exhibition area is 23 million square meters, more than 1,700 exhibitors attended. As a leader in mining machinery industry, Shanghai Zenith Mining and Construction Co. Ltd. carry competitive products like MTW Series Trapezium Mill, JC hydraulic jaw crusher series, HP series hydraulic cone crusher and PFW series of European style of Crusher. 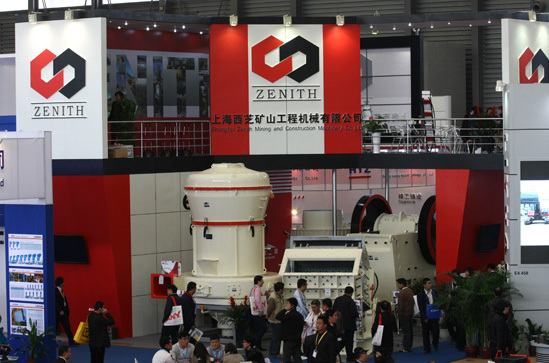 It demonstrates Zenith' strength in mining machinery industry. BMW exhibition is held every two years. It is a great platform to show Zenith. On the first day, Zenith machines have attracted the eyes of the majority of domestic and foreign merchants.